Pakistani child education activist Malala Yousafzai wins the RAW in WAR (Reach All Women in War) Anna Politkovskaya Award for women human rights defenders from war and conflict. Malala defied the strict ban imposed by the Taliban on girls attending school. She was only 15-years-old when she was shot in the head by the Taliban on 9th October, 2012 for campaigning for education for girls. “I am extremely proud to have been chosen to receive an award, which bears Anna’s name and hope that I may be as brave as she was. I greatly admire Anna’s dedication to truth, to equality, and to humanity,” said Malala Yousafzai. The Anna Politjovskaya Award is being presented by 104-year-old British humanitarian Sir Nicholas Winton in London on 4th October. Malala and Sir Nicholas are the oldest and youngest persons ever nominated for the Nobel Peace Prize in 2013. 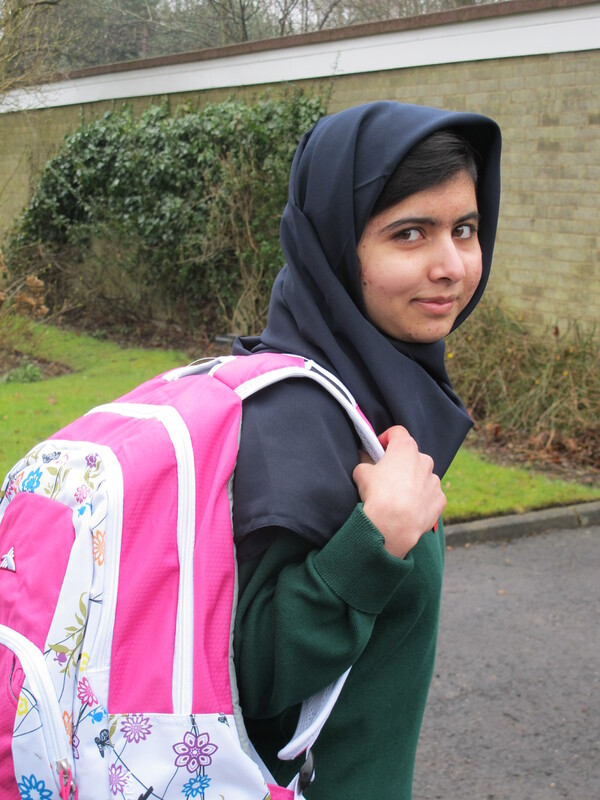 Following her attack, Malala was flown in to Birmingham for treatment and made a remarkable recovery in March 2013. Malala is one of “The 100 Most Influential People in the World” in 2013 by the Time magazine. She is the first Pakistani girl to be nominated by Archbishop Desmond Tutu for the International Children’s Peace Prize. She is also the winner of Pakistan’s first National Youth Peace Prize, the Simone de Beauvior Prize and has been honoured with Amnesty International’s Ambassador of Conscience award and Harvard University’s humanitarian of the year. This year, on her birthday, 12th July, Malala spoke to the UN to call for worldwide access to education. Following the outpouring of support that Malala received throughout her ordeal, she set up an international fund, the Malala Fund, which is dedicated to help promote education for girls throughout the world.